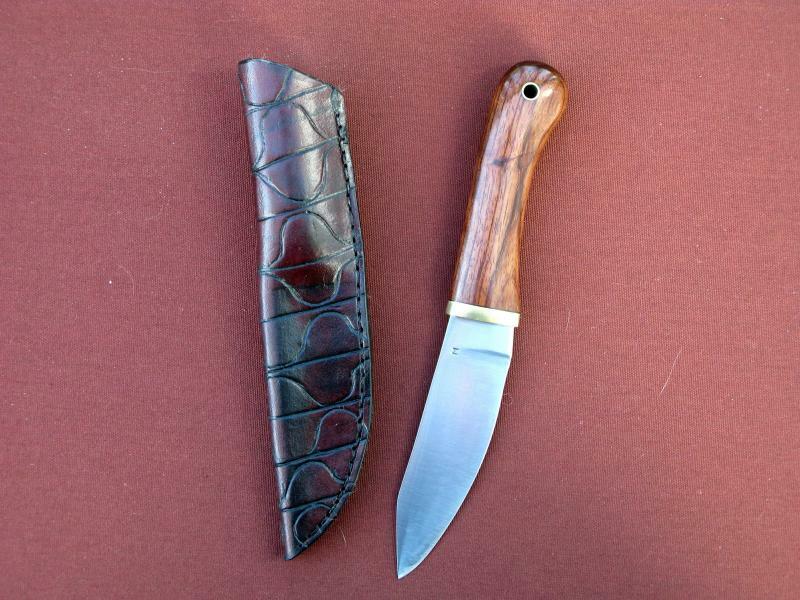 Prices: The cost of a hand-made knife is naturally higher than most mass-produced pieces. In addition to being a one-of-a-kind piece, a hand made knife should always be incredibly sharp, given the attention to finishing not found in mass-produced blades. Each of my blades is tested for sharpness and toughness of edge...your satisfaction is guaranteed. My typical utility knives begin at 200.00 and larger blades run higher. Each knife comes with a hand -made sheath as well. Clients have a three day inspection period on knives I ship to them. I ship to all US states and territories. One of my favorite pastimes is the recreation of historic knives and tools. 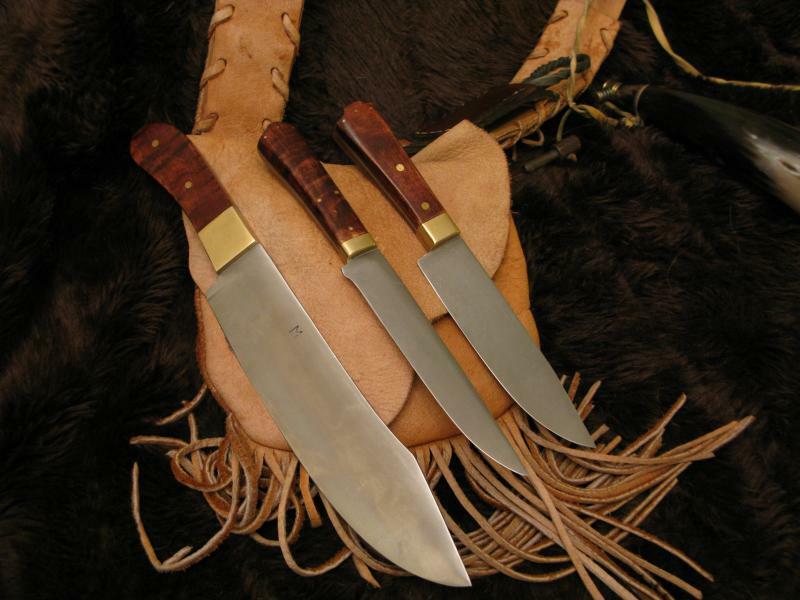 The knives pictured above are based on known historical examples of 18th and early 19th century knives. On top is a Persian-styled "Kard" dagger, with 7" integrally bolstered blade. Below, from left to right, are a massive 1850s Hudson BayCamp Knife, with a 9.5" blade, a bolstered belt knife with slender 6" blade, curly maple handle scales and brass fittings. The last knife is a 6" bolstered belt knife based on an original Ottoman Turkish pattern. While known in North America, they were most common in Europe. Most of my modern designs are made to customer specifications and I especially like to make knives for people who use them.